Want to share your C3 reflections? Email stacey@santacruzmah.org to share your story. We made a Toast to our Future Together! Jeff shared an overview of related events coming this Spring and Summer. Then he asked everyone to join him in a workshop. The focus was to give him advice for the upcoming programs. C3 members enjoyed tasty snacks and a sneak preview of the artwork that they had helped create. This is the artwork that will be on display during the exhibit. Artists Ry, Cid, Wes, Gina and the Pajaro Valley Quilting Association all shared C3 work. Some seniors dropped off their personal paintings for the exhibition. Everyone got a chance to take an old-school Polaroid photo that will be include in the wall of C3 participants. If you didn’t get to take your picture taken then, please pose for the Polaroid photographer at the C3 members special opening on April 4, from 4-7pm. After the workshops, munching and milling about the art, we joined in a giant final circle. Four of our guests sang a beautiful ballad in Spanish about. 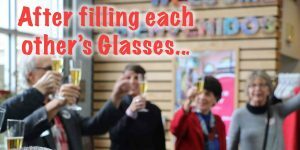 Then we all raised our Champagne glasses for a toast…but wait…the glasses were all empty. Why? Because that is what the exhibition is about. Noticing the empty glass of another person, and taking the time to fill it with bubbly, sweet connection. 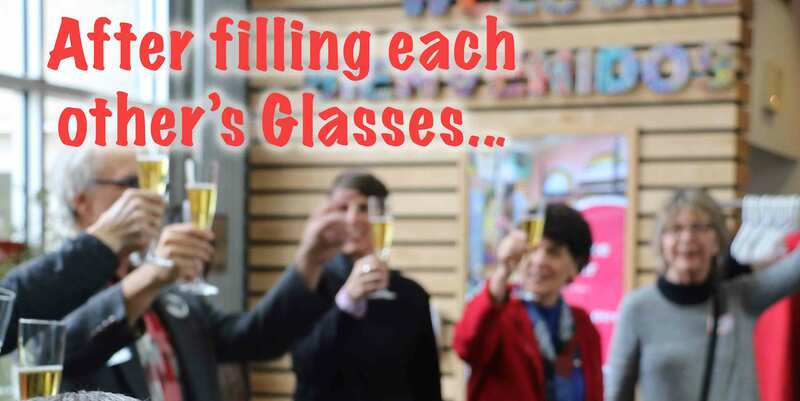 So that’s what we did: we filled each other’s glasses with organic, locally bottled sparkling apple cider. Jeff recollected that this day was a lot like a rocket mission launch. Do you remember the Apollo missions? We all celebrated our C3 Mission: to replace isolation in our county. With party poppers in hand we all said the most important words of any lift off: 10…9…8… Well you can see the result in the photos above. Cake was eaten, smiles and hugs were exchanged. We’ll all come together with our friends and families at the big C3 and MAH members’ opening on April 4 from 4-7pm. Register here if you are going to bring a friend or family member! This entry was posted in Blog on March 8, 2019 by jeff. 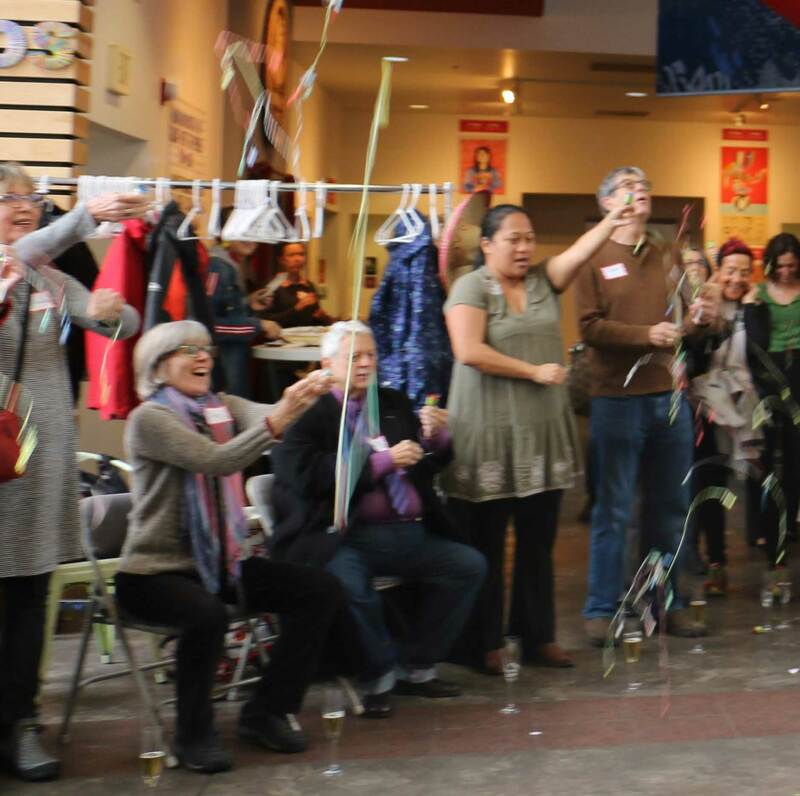 February 12 was a cold and cloudy day, yet the MAH was full of light from the art and activity of the 57 seniors, advocates, artist and staff. 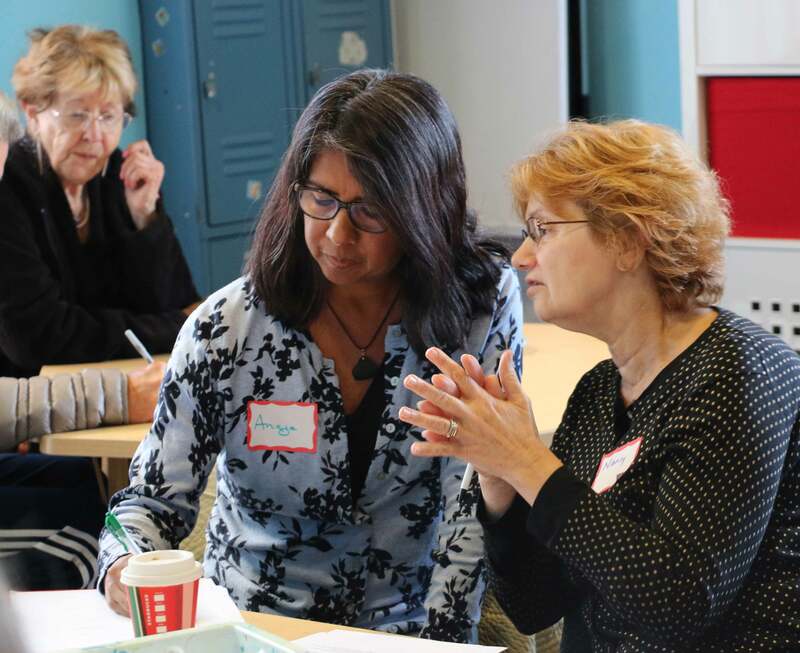 We all joined over coffee and cookies to take the next step to end senior isolation in Santa Cruz County. 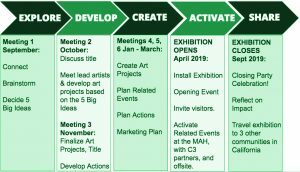 On behalf of the newly registered members of C3 we reviewed of our process and goals for the exhibition. After Stacey presented the plan for the morning, Cid showed a short video of local seniors connected and in isolation. Then she invited all seniors to take part in the recording of a short video of movement and portraits. Then the workshops began! Gina displayed the photos taken by seniors and asked advice on how to arrange them. 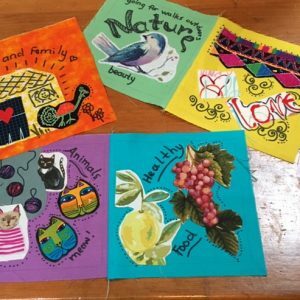 Ariel lead a workshop using watercolor and collage to create isolation art. C3 members could finish these collages and submit to the exhibition. 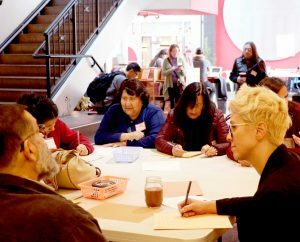 Whitney asked seniors in Spanish and English for quotes about how their connection with the exhibition building process has changed their connections in the community. 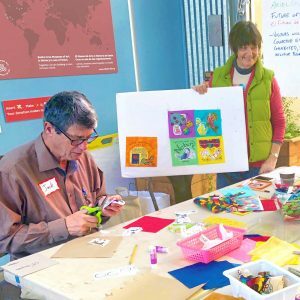 The Pajaro Valley Quilting Association passed out scissors and cloth for people to cut into materials for crafting a quilt during the exhibition. Jeff led a workshop to distill and then expand ideas of related events for the exhibition. After the workshops Rogelio sang a beautiful song to the group in Spanish, and Pedro led an impromptu dance party. We closed out with a moment of gratitude and silence to honor all of the seniors, both living and passed on, who have worked to make our county a better place through their dynamic lives and spirits. We are excited to have you join us for our next and final meeting of C3 on March 5. The exhibit , We’re Still Here opens one month later on First Friday April 5. There will be a special celebration opening for C3 members and MAH members on April 4. This entry was posted in Blog on February 14, 2019 by jeff. Next, we self sorted into action groups working with the different artists. 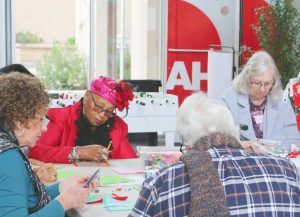 Ruth and Helen from the Pajaro Valley Quilting Association helped seniors make fabric, ink and image quilt squares. These share our visions of a future Santa Cruz beyond isolation. The squares will join evolving fabric inspirations made by visitors to the Museum during the six months of exhibition. Cid’s group motivated the entire audience with a mini-performance of dance, evoking the issues that seniors experience as our bodies age. These dance vignettes will play at the opening of the Exhibition on April 5. Visitors will also enjoy them through live and on video performances throughout the six months. 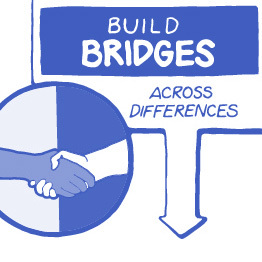 Bridging Events that bring diverse communities together. 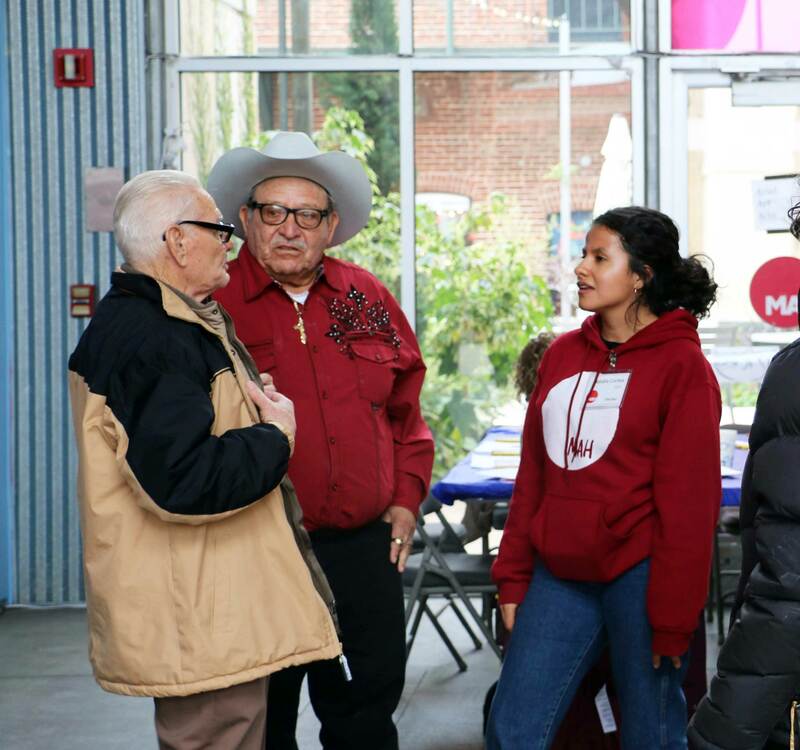 For example, an audience participation and performance event inviting High School Seniors and Senior Citizens to exchange wisdom across their different ages and experiences. Bonding Events which strengthen connections among people from similar communities. For example, a senior mixer event. 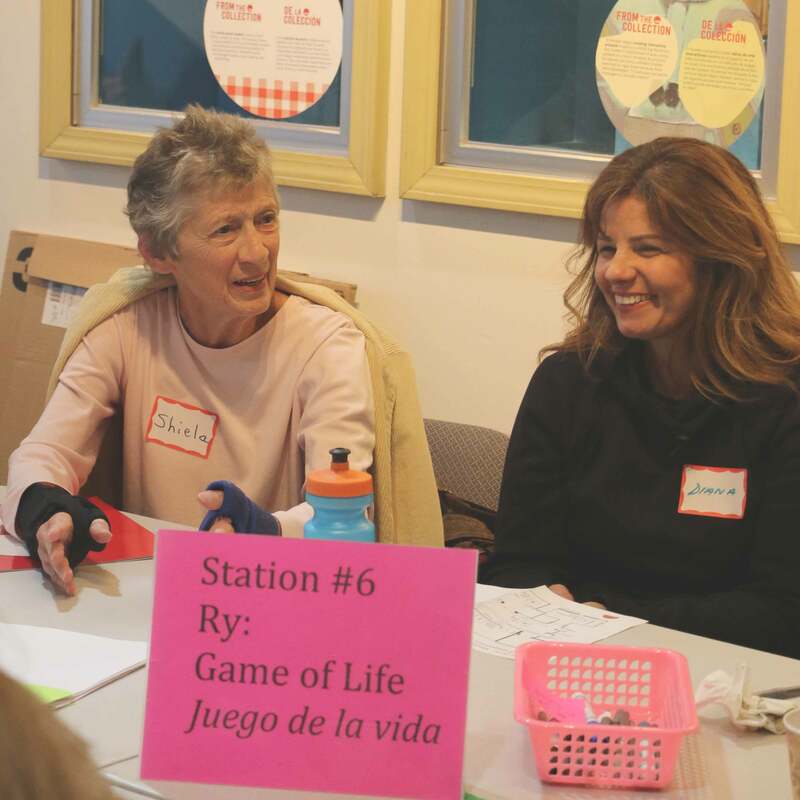 Ry presented the Senior Game of Life project and got feedback about specific stations that visitors would experience. Gina shared self taken photos from seniors expressing isolation in their lives. 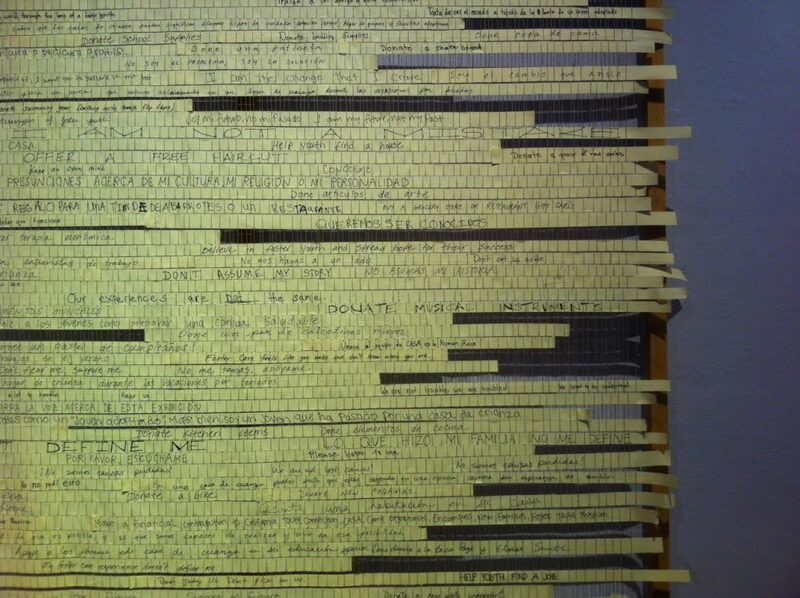 People weighed in on which were most moving. Our next meeting is coming up soon on February 12. Only two more meetings before all of our hard work and passion sparkles before the public eye. Please mark your calendar with the First Friday opening of “We’re Still Here” on April 5. 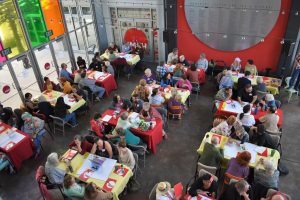 If you are a MAH member, or want to join before then, you are invited to the extra members opening on April 4, complete with food & drinks, dance and music, and crafty opportunities. If you’ve ever thought about becoming a member, this might be the right time to do it! This entry was posted in Blog on January 25, 2019 by jeff. 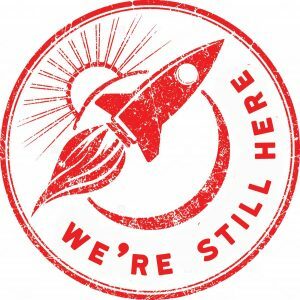 C3 November 20 Meeting: We’re Still Here! 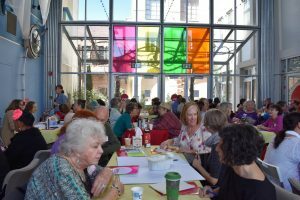 Gratitude to all of the 63 seniors, advocates, artists and program staff who gathered together just before Thanksgiving to plan artistic pathways to a Santa Cruz county beyond senior isolation. All seniors were invited to prepare and share personal artwork about isolation in the show in April. This artwork will balance all of the other solutions to senior isolation that the show will represent. More details below. Stacey began with an overview of our steps so far: generating our goals for the exhibit, choosing artists to help us express our vision of isolation and a community full of connection. 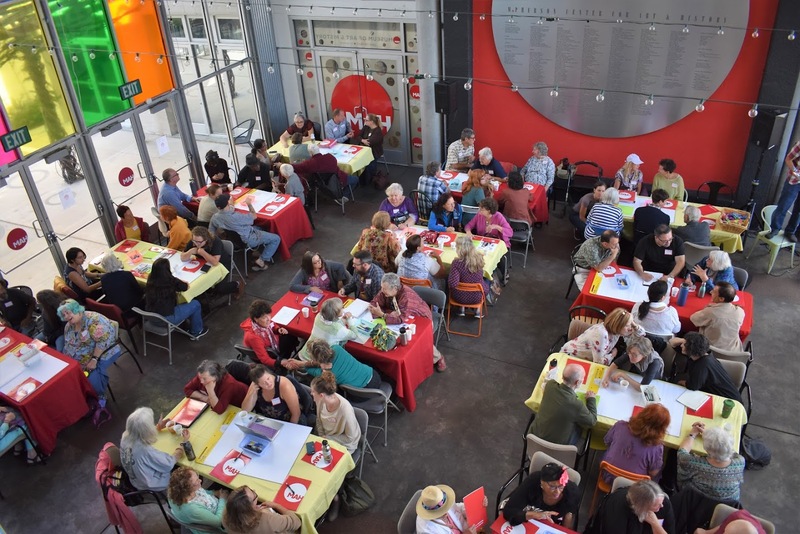 Next we voted on the exhibition title, “We’re Still Here: Stories of Seniors and Social Isolation” won the popular vote and the electoral college! Station #2 Ariel: Future of SC: Drawing quilt squares of what a world without loneliness would look like. Station #3 Wes: Audio Stories: Generating questions and stories about our lives, asking who wants to be recorded? Station #4 Jeff: Action Cards: Brainstorming direct actions visitors can take in our organizations to end senior social isolation. Station #6 Ry: Game of Life: Discussing the life experience triggered our realization that we are seniors. After two rounds of workshops, C3 members gathered for some final notes and a good will send off for all involved. If you have any questions, or want to participate in either of the documentation projects, please contact the artists directly. We also made a call for all county seniors to submit art that will be included in the show. These invitations are available in English here. Also available in Spanish here. The invitation is very broad including both 2D and 3D art of different sizes. Does it illustrate loneliness or isolation as represented by the artist. See more details here. In order to plan the layout, we need to know how many pieces of art we are including; so an application and a picture need to be submitted by February 14. The artwork itself does not need to be finished and submitted until March 29. This entry was posted in Blog on November 21, 2018 by jeff. Visitors will understand the diverse causes and impacts of loneliness on seniors. Gina Orlando will coordinate a photography project by seniors and of seniors that illustrates the causes and impacts of loneliness. Visitors will build empathy by experiencing what loneliness and isolation feels like for seniors. All Senior are invited to submit artwork expressing loneliness for inclusion in the exhibitio n.
Cid Pearlman will facilitate 3D scenes/sets that represent senior isolation and disconnection, further activated by performance and videos with dancers and seniors. 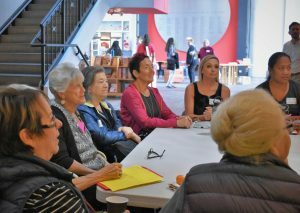 Visitors will honor and learn from the wisdom of culturally-diverse seniors. Visitors will build a collective vision of a connected, inclusive, inter-generational future in Santa Cruz County. 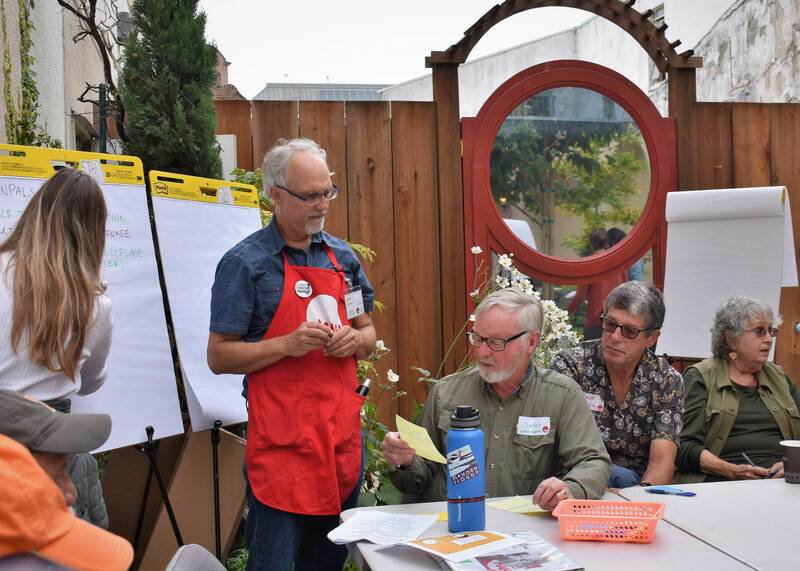 MAH Staff will coordinate warm inviting scenes to inspire shared visioning. Visitors will take action beyond the exhibition to end senior social isolation. MAH staff received ideas about Action cards for visitors to take direct action through our advocates and their programs to end senior social isolation. We will brainstorm this in November. The remainder of the meeting consisted of the C3 members brainstorming on how to visually represent these big ideas for 5 of these projects. You can view the notes here. This entry was posted in Blog on October 12, 2018 by jeff. What has 88 smiles, 38 tears, 540 great ideas and a building full of hope and inspiration? 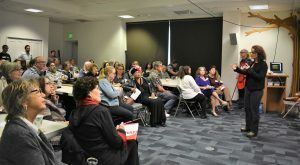 The first C3 meeting of the committee to replace senior isolation with connection in Santa Cruz County. On Sunday September 9 a group on seniors, artists and advocates engaged in brainstorming, sharing stories and documenting their experiences, feelings and wisdom. 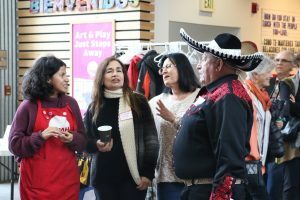 It was an energizing Sunday at the MAH. Share a time that you felt loneliness because of being a senior. What does feeling isolated or lonely feel like? What would a world without loneliness look like or feel like to you? See the full list and a word cloud of responses from C3 participants here. After lunch, we shifted focus to developing the Big Ideas for this exhibition. Big Ideas establish a shared vision for our exhibition together. C3 participants discussed what they’d like visitors to understand, feel, experience, or act on in this exhibition. Together, we narrowed it down to 6 Big Ideas and brainstormed how to activate these ideas in an exhibition. You can see C3 participants responses here. MAH staff then edited and combined ideas based on the brainstorm feedback to these final 5. These goals will guide this project: all the artworks, events and actions we will create together. 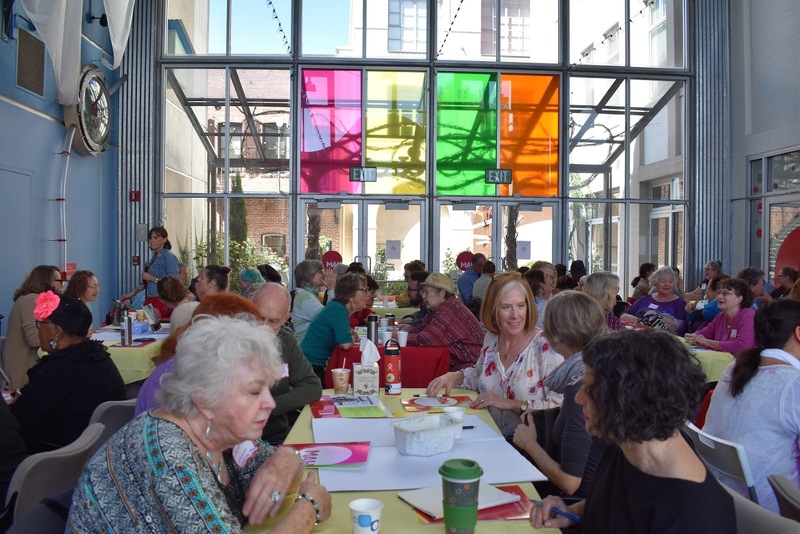 We closed out the day with a moment of gratitude for our lovely day together, getting to know one another, and kicking off a new movement to end senior social isolation in Santa Cruz County. This entry was posted in Blog on September 12, 2018 by Stacey Garcia. The following blog post was written by C3 2017 artist, Melody Overstreet. She summarizes her experience with the process of developing her artwork, Interwoven Voices alongside current and former foster youth during our C3 meetings. One question that I have sat with throughout this exhibition, and that I continue to carry with me is, how do we inspire a shift from care and good intention to a place of deliberate action? What do we do in the face of a challenge that is so massive in scale? 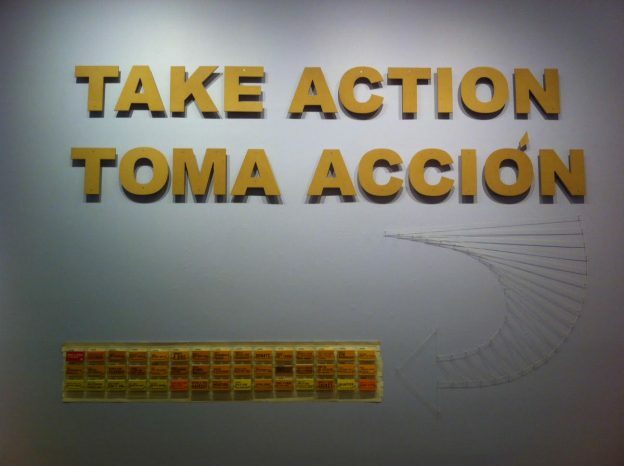 One approach is to take actionable steps, one at a time. 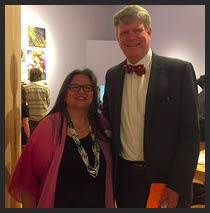 As an artist and educator, I have learned a lot from the Creative Community Committee meetings, the art-making process, and the presentations by youth and youth advocates. Throughout this experience, youth identified and directed the elements most essential to communicate through this exhibition. I am grateful for the opportunity I had to hold space and listen. There are basic physical needs to survival and well being. In my conversations with youth, the importance of psychological perspectives surfaced. It is paramount that we support the physical well-being of youth, while also meeting emotional, psychological, and spiritual needs through the ways in which we approach our relations, and hold space for their unfolding as whole human beings. During some of our C3 meetings, several youth inquired about weaving. 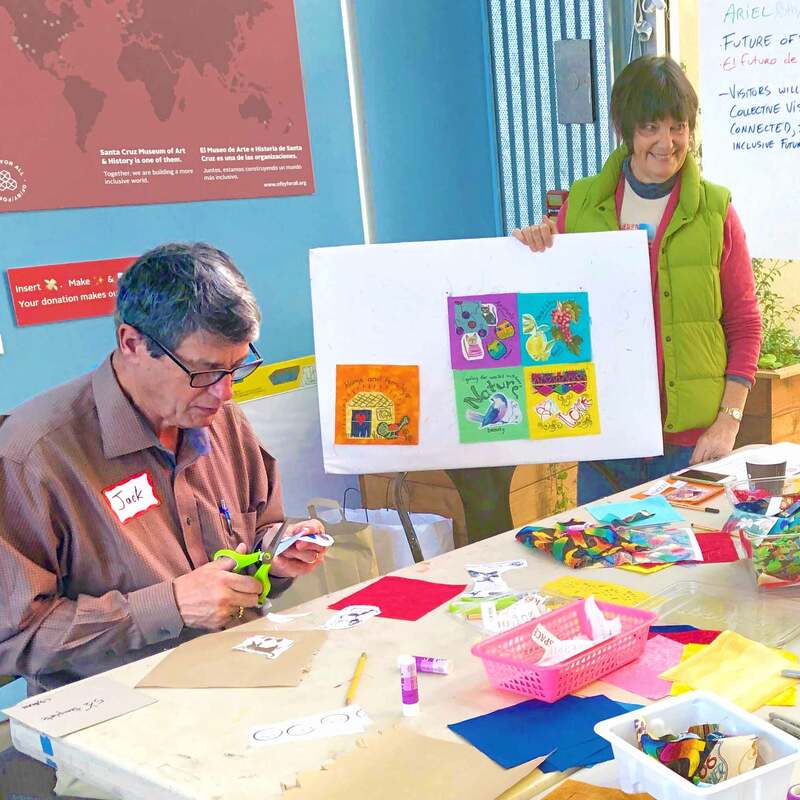 Creating a collaborative weaving made itself steadily more evident as a fitting medium and process to amplify the self-identified needs of transition-aged youth. This collection of interwoven voices highlights youth-identified needs and perspectives, offering a list articulated and hand-written by youth that provides opportunities for meaningful action. Weaving lends itself as a powerful metaphorical act. I think about individuals as part of a larger society— like single threads woven as part of a larger tapestry. I see that as people we have more in common than apart, and that our various lives inevitably intersect. I am inspired in a life-long call to action to meet the needs of youth, to support their individual and collective resiliency, for a society that is rooted in an ethos of care and responsibility for one another. I see clearly that we cannot have a healthy society unless we care for all children. When a vision is shared, the actions of individuals accumulate and have the collective power to shift the tides. What is our responsibility to future generations? 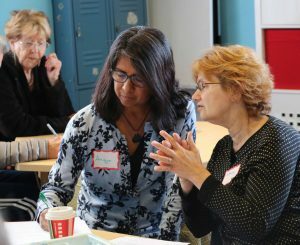 How can we meet the needs of our current generation, and work to change ourselves and the system to deeply address the personal and cultural shifts necessary to provide for future generations? 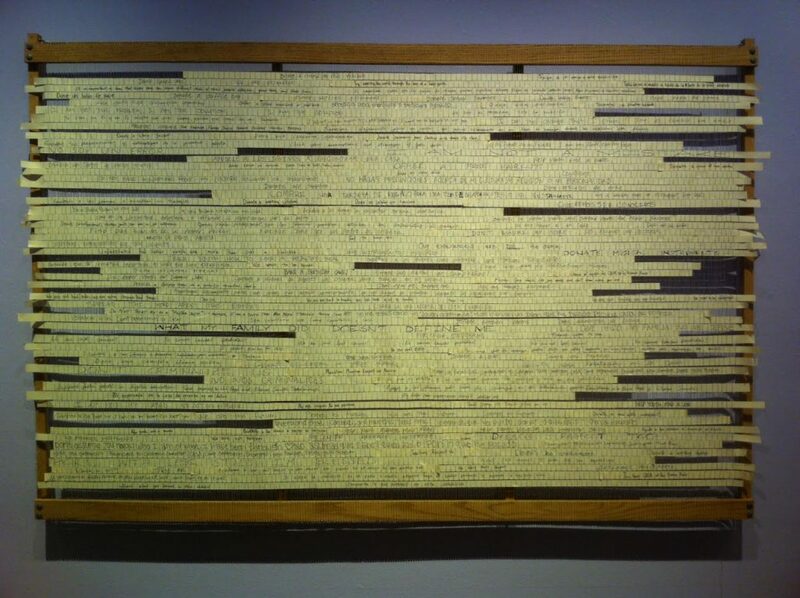 This work communicates about the “little things” that we can do to support youth aging out of the foster care system. The idea to focus on the “little things” was inspired by MAH intern Karen’s personal insight. Karen shared the idea that as a youth, when experiencing hardships, that the “little things” made a huge difference in her daily life— this included when someone baked her a cake for her birthday, which is a reminder of the soft power of thoughtful gestures. 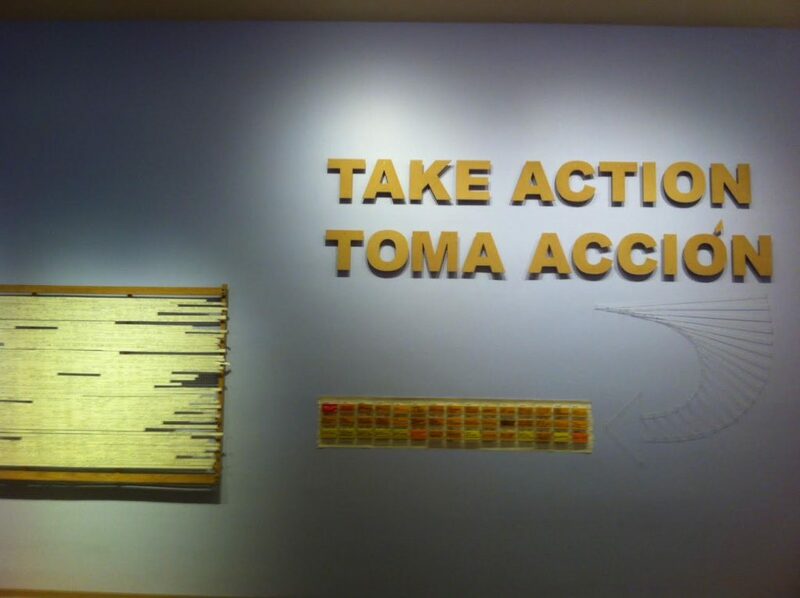 Alongside the installation, Interwoven Voices, is an installation of Take Action cards. 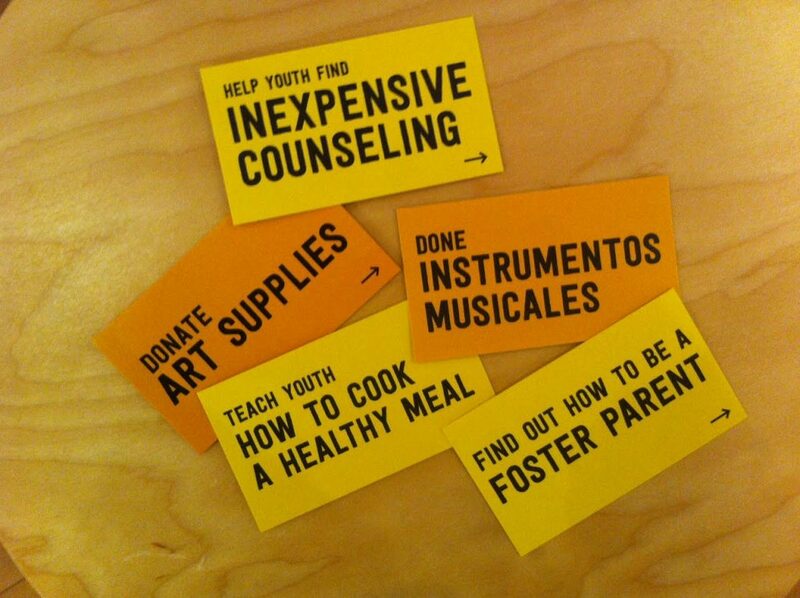 These take-away action cards include the “little things” articulated by youth and youth advocates that have the power to make a meaningful difference in a youth’s current transition and life. The MAH has made these suggestions accessible by printing them on a corresponding card with details of how to achieve that specific action. We are being called to action in a number of ways— through the “little things” first and foremost to support youth in transition, as this is a current and pressing need. We also need to take a deep critical look at the root causes of disruption in family life. Certainly, these youth carry much wisdom, perspective, and insight, and I am honored to have had the opportunity to hear their ideas and work alongside them. Many youth are demonstrating courage and thoughtful leadership by using their voices to advocate for themselves and for future generations. In conversation with community member Devin Gonzales, I had an opportunity to broadly discuss the systemic issues and challenges that children and some parents face, challenges that can disrupt family life, and ongoing issues of oppression that variably impact lives. It is not surprising that youth of color are disproportionately represented in the foster care system, as this is an extension of racism. While we take much needed action on the “little things,” it is equally essential that we dismantle the complex and interworking systems of oppression. Collaborating with Youth and Youth Advocates, partaking in C3, learning from the thoughtful Foster Youth Museum, and working alongside the Museum of Art & History has been a profound opportunity for me, for which I am humbled. This work is ongoing, and I am grateful that the space is being held to bring focused attention and growing awareness to the experiences of youth, as this is one way to heal our current and future generations. This entry was posted in Blog on December 16, 2017 by lauren. On September 12-13th, C3 Partners, Cabrillo Guardian Scholars hosted a Pop Up Museum to highlight their students’ achievements. Below is a summary of what it was about, how it went, and what people shared. View more photos and read the original post here. At this year’s Student services showcase event The Guardian Scholars program was excited to collaborate with the MAH to host an “Achievements Unlocked” pop up. The Guardian Scholar Program supports current and former foster youth, we wanted a way to engage a larger student population at the welcome week event and thought a pop up would be the perfect thing. *We hosted two consecutive Pop Up Museums. Our first took place on Tuesday, September 12th at our Aptos campus, while our second took place the next day on Wednesday, September 13th at our Watsonville Campus. Below is a summary of both Pop Up Museums. You’ve reached a new adulting level. What was your “ah-a!” moment that led you to Cabrillo? Where do you want to go from here? We all have our own education path, but how did we get there? What were your achievements along the way? It starts with a source of inspiration and a mix of passion, motivation and curiosity. Whether students in school, or as life-long learners, we all have that lil’ something that we are proud of. What is it for you? Share an object and tell your story. Since this occurred during a school day on campus, instead of objects students shared stories, statements, and art produced right at the pop up! The pop up allowed for students to reflect back on something they were proud of. And many times surprisingly enough someone would say, well I haven’t achieved anything yet….but after some conversation they’d say “I was the first in my family to go to college”, “This is my last semester at Cabrillo before transferring”, or “I’m in School, but it wasn’t originally part of my plan”. We saw all of these as huge achievements, and the thing is once shared, it got people talking about how an achievement resonated with them. What was most surprising was how many times people would start by saying I’m not…, or I haven’t… but after taking time to reflect, they truly realized what they had achieved. It was a great opportunity to see growth mindset at work, and how simple conversation can make a huge different to how a person see’s themselves. We appreciate everyone sharing their achievements, and the rich conversation’s that came from the event! This entry was posted in Blog on September 16, 2017 by lauren. Lost Childhoods gets a shoutout from California Youth Connection! In August, Foster Youth Museum and California Youth Connection (CYC) released a heartfelt e-blast that highlighted the Lost Childhoods exhibit. CYC is a youth led organization that develops leaders who empower each other and their communities to transform the foster care system through legislative, policy, and practice change. Click here to read the message in a separate browser. Wow! 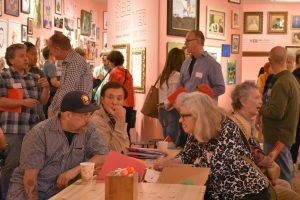 Over 4,500 community members visited the Lost Childhoods exhibit on opening night at the Santa Cruz Museum of Art and History (MAH) last month. Since then, more than 6,000 people have visited the nation’s largest collection of art, artifacts, and video portraits about youth experiences in foster care. The exhibition is a culmination of a six-month collaborative process between the Foster Youth Museum and more than 100 current and former foster youth, artists, and advocates. 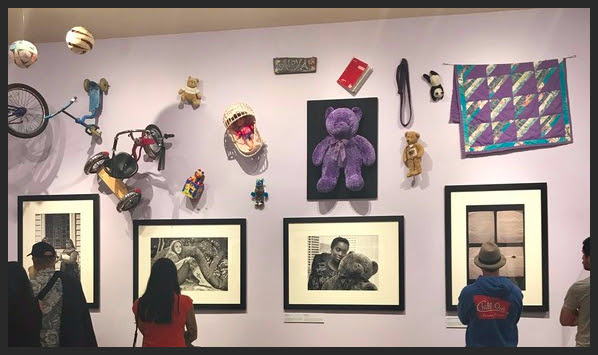 Lost Childhoods features personal belongings of foster youth, photography by Ray Bussolari, and four art installations created by foster youth in collaboration with artistsBridget Henry, Melody Overstreet, Elliott Taylor, and Nada Miljkovic. “Foster youth museum was conceived of by former foster youth from California,” explains Jamie Lee Evans, director of Foster Youth Museum. “It was developed while writing curriculum on how to train social work supervisors on how to do more successful social work with teenagers. What we kept hearing from the young people who had written the curriculum was, ‘I have this object that I can bring in and it will help tell the story.’ And from hearing these stories over and over again, I thought, we should make a collection,” she said. Empowering youth to share their stories and determine the look and feel of the exhibit were key components of the project since its inception. 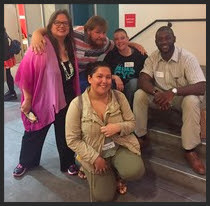 “I originally joined because I had seen many cases of organizations attempting to represent and support foster youth…and again and again I saw youth being sidelined, being spoken over, being patronized, and tokenized and left out of the very projects meant for them,” said Jess Prudent, a recent graduate of UCSC and Smith Renaissance Society Community Fellow. Rooted in youth experience, the exhibit is also about taking action. Thanks to a generous grant from National Endowment for the Arts and the California Arts Council, the exhibit will run from July 7 – December 31, 2017. To learn more visit www.fosteryouthmuseum.org. This entry was posted in Blog on August 17, 2017 by lauren. Back when C3 was still in the planning stages for the Lost Childhoods exhibition, our partners at Smith Renaissance Society were buzzing with action. 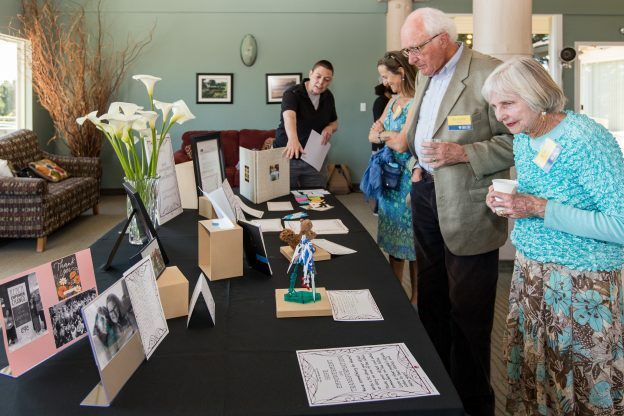 They decided to host their own Pop Up Museum at the Annual Chancellor’s Reception at UC Santa Cruz to celebrate the academic feats of former Smith Renaissance Collegiate Fellows. Continue reading to see how it went. *This post is also cross published on the Santa Cruz MAH’s Pop Up Museum blog, here. At this year’s Chancellor’s Reception, an annual event hosted by the Smith Renaissance Society, a successful year was celebrated for this community. Honors were given to students, faculty, and volunteers of Smith that have either accomplished academic feats or have made Smith a more inclusive and worthy cross-generational community. Unique to this celebration, a Pop-Up exhibition was featured, consisting of a small scale foster youth exhibit and was hosted in partnership with California Youth Connection and the Foster Youth Museum. The Pop-Up included personal artifacts brought in by several Smith Renaissance Society Collegiate Fellows, all former foster youth; these artifacts presented from their foster years represented hope or empowerment. Through these artifacts, the mini-exhibition provided a backdrop for donors to understand the importance of a foster child’s experience and how these memories live on through objects, artwork and other artifacts. Guests including Chancellor George Blumenthal browsed the Pop-up museum again and again. One object stood out to the crowd and was later presented in-between awards. Mercedes Marson, a Smith alumna, brought her “Book of Life,” which was filled with photographs and mementos that kept her smiling through the system, offering her hope for a better future. Now, Mercedes is taking the same aspects of positivity and is currently training social workers to use these positivity methods with children in the foster system. She is also headed to Columbia University this fall where she will earn her Master of Social Work with a minor in Public Policy. Not only do non-foster youth individuals get a chance to step into the shoes of former foster youth, but this exhibition also breaks down stereotypical perceptions of what former foster youth and their experiences look like. “There is no cookie cutter way in which foster youth experience the system,” says Shawn. These artifacts physically show how each former foster youth developed into the individuals they are today and how these artifacts—pictures, artwork, toys and even sticky notes—helped them through the foster care system. This entry was posted in Blog on July 26, 2017 by lauren.